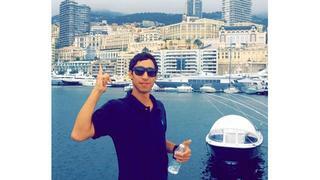 Teone Capper, a 24 year old superyacht deckhand from New Zealand, has helped save the lives of an elderly couple as flash floods ripped through Antibes, France yesterday (October 4). The flooding in the South of France has killed at least 17 people. Superyacht crew member Teone Capper hails from New Plymouth, New Zealand. He completed his crew training at Mahurangi Technical Institute and worked as a deckhand on yachts in the Auckland area before relocating to Antibes in July 2015 in order to find work on yachts in the Mediterranean. Capper had been staying in a riverside campground in Biot, near Antibes, when the River Brague burst its banks, causing flash flooding. According to reports, three people were swept away from the campsite and died. Capper braved swimming back through the oncoming water and heroically led the couple out of their caravan and to safety. “You just evaluate the situation and try and help because there were a whole lot of older people there,” he said. The heroic superyacht deckhand reportedly also tried to help others, and had to abandon rescuing an older man when a car began floating towards him in the increasingly swift current. But when rescue teams arrived, he was able to point them in the direction of the man’s caravan, and they were able to reach him by boat. According to Teone Capper’s father, the 24-year-old is due to sign a 12-month contract for a new role on a superyacht and should soon be putting this ordeal behind him.